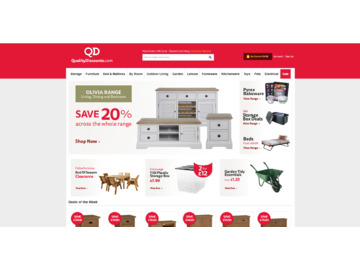 QD Stores is a major UK discount retail outlet with many years’ experience. They stock a huge range of quality discount items from furniture, homewares and electrical goods, to toys, clothing and pet supplies. 5% cash back for most items. 2% cash back for voucher. Click a Coupon or click Start Shopping to earn 4% Cash Back at QD Stores.